First, some seedlings and materials were provided by City Hall. Then the project attracted some partners and supporters. 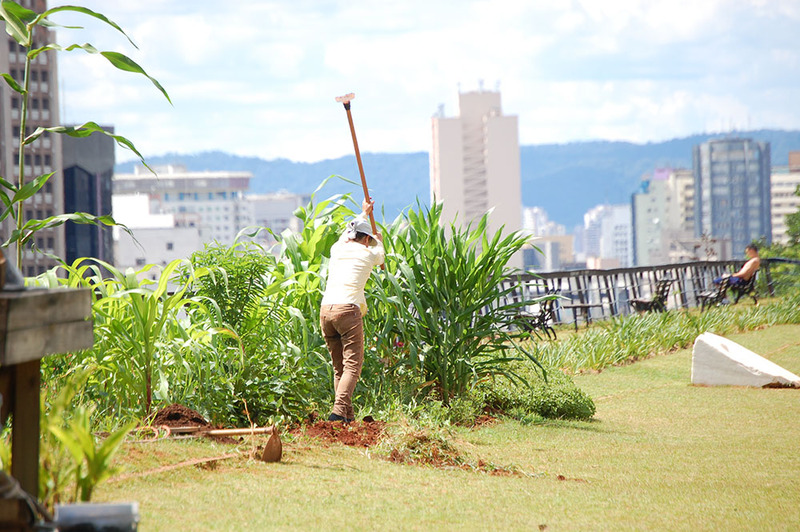 People began to prepare the soil, bring plants and install an irrigation system. 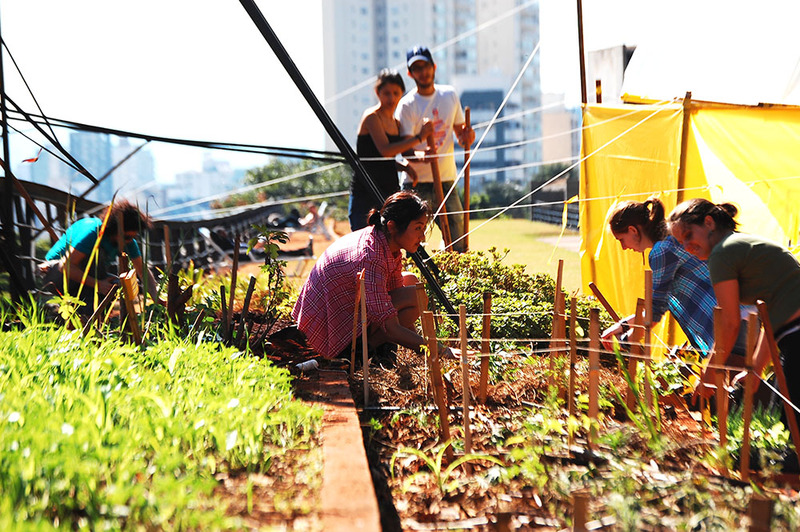 Finally, the food garden took up residence in the rooftop garden of São Paulo Cultural Center, located in the middle of the most populous city in the Southern Hemisphere. Since 2013, thanks to committed volunteers who gather regularly to tend the garden, its vegetables, fruit, spices and medicinal herbs have been thriving. Initiatives like this are happening elsewhere, too. On the west side of São Paulo, Horta das Corujas (Owl’s Food Garden) occupies 800 square meters of public space. Though it is surrounded by a fence, an unlocked gate keeps only the dogs away. People who want to help or learn more about the project are always welcome. According to the Worldwatch Institute (WWI), 800 million people worldwide are engaged in urban agriculture, producing some 15% to 20% of all food. 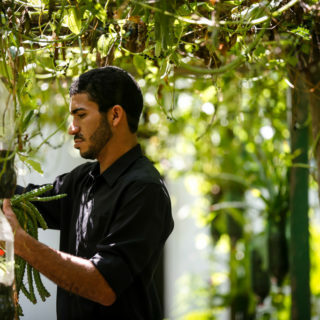 The United Nations’ Food and Agriculture Organization (UN/FAO) encourages urban planting as a way to make cities more resilient, climate-friendly and capable of sustainably managing natural resources. Even on a small scale, a food garden can make a difference. You can keep one in your backyard, the courtyard of your apartment complex, or even on your balcony. Even domestic gardens have a positive impact on the environment. That’s because these small green islands take advantage of already-deforested urban space to produce food, thus preventing food from being packed and transported to the table. This way, urban gardeners cut down on packaging waste and on the emission of greenhouse gases and other pollutants. Reducing food waste is another real advantage. Why buy a whole bunch of parsley that will rot in the refrigerator when you can pick just the amount you need for the recipe? Planting and consuming your own produce, even in small pots on your windowsill, can also change your relationship with food. It can inspire you to be more curious about where the rest of the food on your plate comes from and be more committed to eating locally, giving preference to the fairs and markets that sell produce grown in or around the city. Many urbanites are attracted to a collective purchasing model, the CSA (Community Sponsoring Agriculture), in which a fixed group of consumers commits to buying food from a small organic farmer (or group of farmers) for one year. Farmers give these investors the food they grow without any additional costs beyond those already known at the time of the agreement. 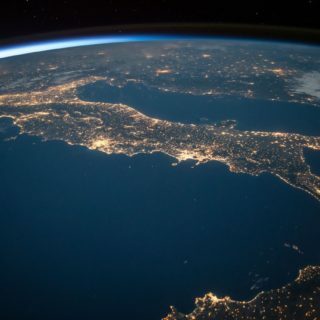 When we break down the distance between consumption and production, whether by growing food in a window box or community food garden, or by investing in a rural site a few miles from our home, we’re able to live a little bit closer to the earth. Plan – Find the right site for your garden. It should receive an average of five hours of sunlight daily, depending on the type of plants you are growing. The less wind, the better. Compost – You can produce a super fertilizer at home with food leftovers through a process called composting. Plant – Think small in the beginning, though you’ll need at least a square meter or four clay pots of 30 centimeters of diameter each. (Smaller containers are useful only for seedlings, or for growing small species such as green onions, parsley and thyme.) As you get used to gardening, you’ll expand your crop gradually. Prepare the soil – If the soil is hard and lifeless, spread a 30 cm layer of straw or dried leaves and sticks to form a cover protecting the surface from drying out. If you are going to plant in pots, the basic recipe is: 40% soil (any kind), 30% sand and 30% organic compound. Fertilize – Instead of synthetic fertilizers, choose organics: manure, humus, bone meal, egg shells, coffee grounds and ashes. Soluble chemical fertilizer is like fast food for a plant. It makes it grow, but leaves it susceptible to disease. Water, but not too much – Use your finger to check the soil and feel whether it really needs water. The best times to water and manage the plants are in the early mornings and late afternoons. Mix – The more biodiversity, the better. Exchange seedlings with friends to get a variety of plants. Place several different species of plants in flowerbeds and pots. Meet the friends of the plants – In a healthy food garden, bees pollinate, ladybugs eat aphids, caterpillars become butterflies, and carnivorous wasps help control the population of caterpillars. The proliferation of not-so-helpful insects is a common problem in the early days of the food garden, when there is little plant and animal biodiversity. Be patient: allow bushes to grow and plant flowers that will attract the good insects. 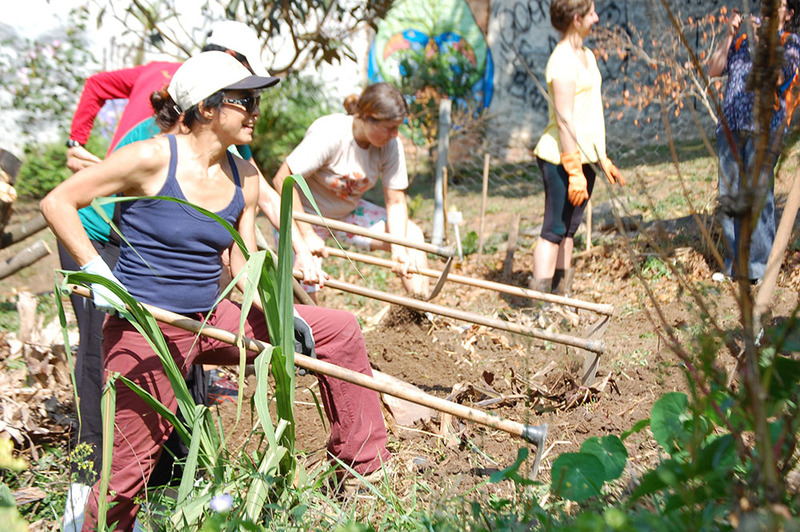 Exchange experiences – Talking to others who are also learning how to plant is vital. 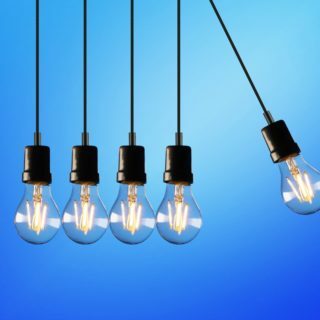 Search for a group in your city or online.